I’m interviewing Renee Stevens today on my LJ as part of her blog tour for Wide Open Spaces for Dreamspinner Press’ States of Love series. There’s also a rafflecopter giveaway. I’m interviewing L.J. Harris today on my LJ as part of her blog tour with Eyes on Books for The Haunting of Angus Macgregor. There’s also a rafflecopter giveaway. 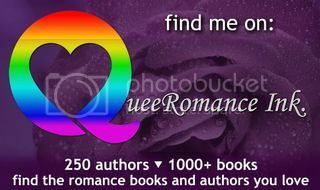 I’m interviewing Rob Rosen today on my LJ as part of his blog tour with Embrace the Rainbow Book Promotions. I’m interviewing Skye Allen today on my LJ as part of her blog tour for The Songbird Thief from Harmony Ink Press. I’m hosting A.L. Bates today on my LJ as part of her blog tour with Eyes on Books for Surfacing from Wayward Ink Publishing. There’s also a rafflecopter giveaway. I’m hosting Keelan Ellis today on my LJ as part of her cover reveal with Eyes on Books for Good Boys from Wayward Ink Publishing.